The largest community-driven family festival in San Diego County, the 9th Annual Fiesta del Sol is a two-day street festival celebrating the history, diverse cultures, and civic engagement of the people of San Diego. It's a fun, FAMILY-FRIENDLY, alcohol- and tobacco-free event focused on creating positive change by empowering communities. 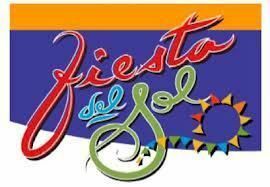 Fiesta del Sol includes an entertainment stage, a multi-cultural food court, four community pavilions, and over one hundred booths sponsored by local small businesses, non-profit organizations, and corporate partners. There is no cost for admission and the focus is on family fun. between Cesar Chavez Parkway and South 26th Street.